Great find Mathew. Surprising they didn’t go for the more famous image of the Prince Regent which, as you point out, would be slightly less traumatic. Thanks Ian. They probably did. 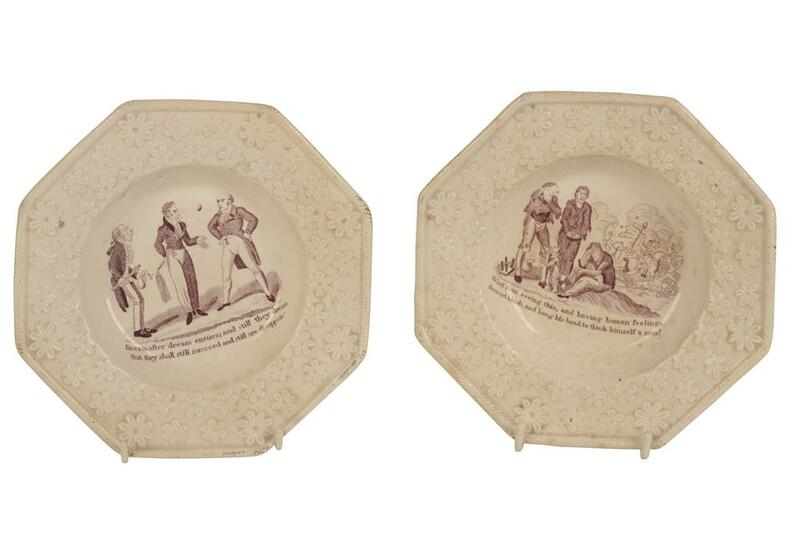 My guess is that these two plates were originally part of a larger set of ten which were decorated with all of the images from ‘The Political House…’ So there may well be a creamware version of ‘A Dandy of Sixty’ floating around out there somewhere.